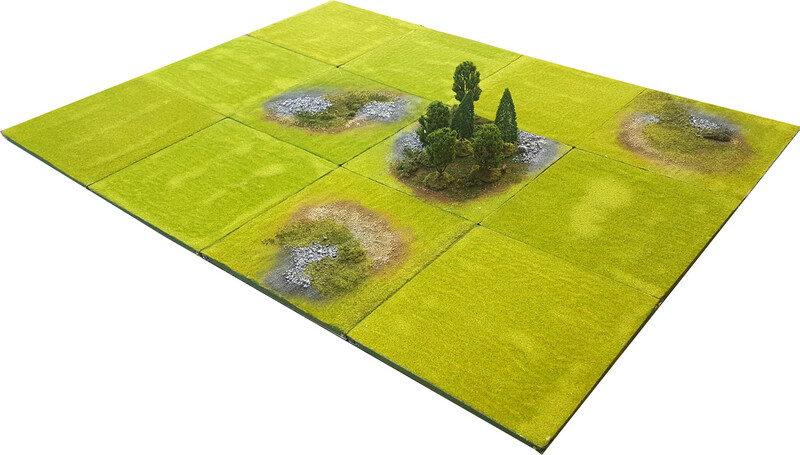 You may pre-order the Pedion "SAGA" 4'x3' Battlefield Set, suitable for most SAGA Dark Ages & Crusades Skirmish Scenarios. The Set is available in three Themes: Green Spring, Desert, and Winter. It can be upgraded with all our add-ons, or be the basis for you to expand to a larger Set. You can choose to upgrade a plain tile with a Hill tile (Size M for Saga) for your scenarios, or even add 4 straight River Tiles for the "River Crossing" Dark Ages Scenario. Due to amount of pre-orders please expect a 4-month (and more) delivery time.